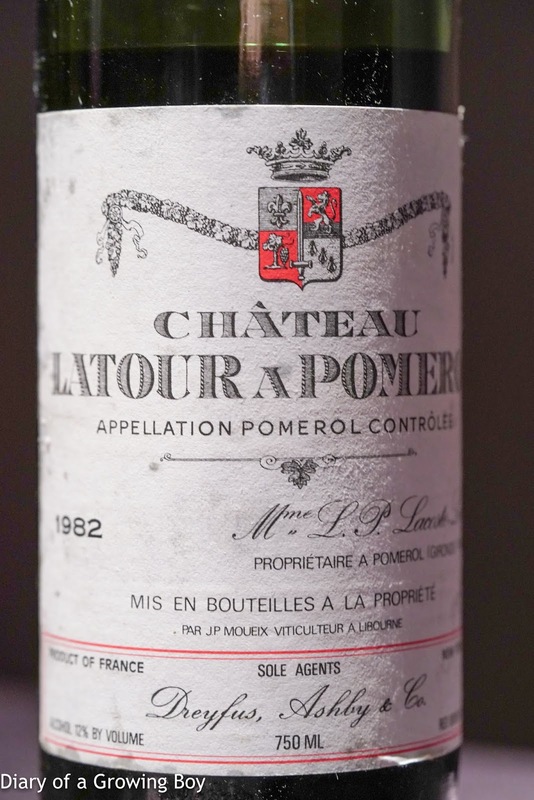 1982 Latour à Pomerol - served about 70 minutes after opening without decanting. Initially not quite open and showing only some smoke. Two hours after opening there was more acidity on the palate after 20 minutes in glass. Showing better by now with tobacco notes and reasonable length on the palate. A little more than two hours in and the nose was really fragrant, showing more wood notes. Strangely showing metallic rust about 2½ hours in, and after 3 hours this became really fragrant, and showing some earthy notes. Not quite as good as the bottle last year, but still very nice.